This Wednesday, our usual Bad Language event will mark a sad occasion. Yes, we will have the usual incredible open mic performances, and we have a brilliant headliner in the shape of Emma Lannie, but we will also be saying goodbye to two of our hosts. Daniel Carpenter and Nici West were two of the co-founders of Bad Language, and later this month they will be upping sticks and moving to the big smoke where they’ll be looking to spread the Bad Language word. But do not fear, this is not the end of Bad Language in Manchester. Fellow co-founder and host Joe Daly will still be running both the monthly event at The Castle and more events in the city, and not only that but he will be joined by a BRAND NEW HOST who will be joining the Bad Language family for their Manchester endeavours. But who is this host? Where did they come from? 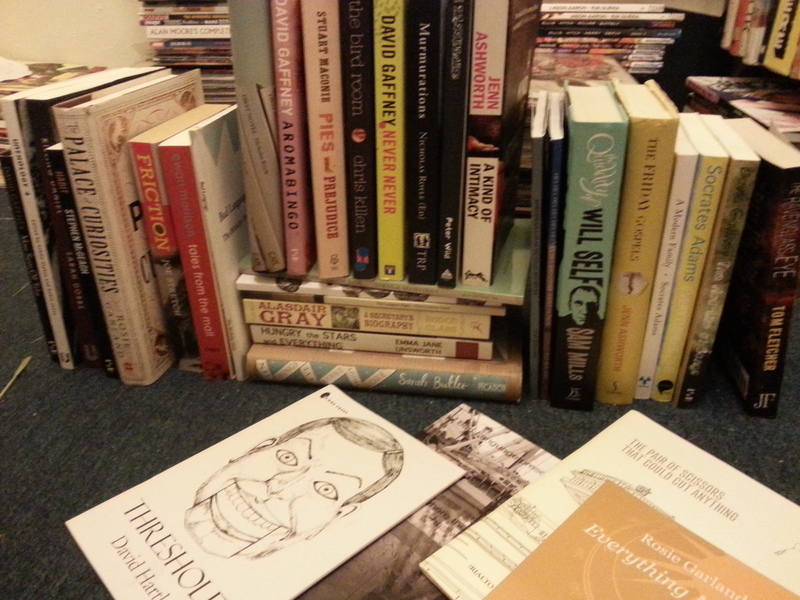 A selection of books from performers and headliners over the past three years.